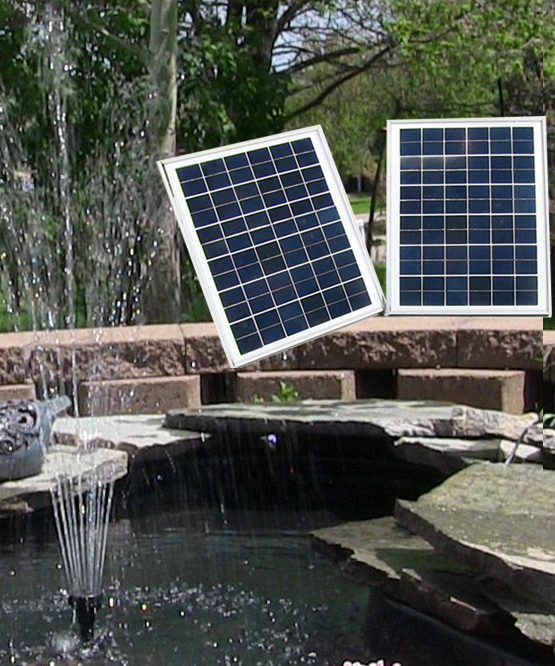 Two 10 watt solar panels power the powerful 20 Watt Solar Pump Kit without Batteries for outdoor ponds or fountains. Use it to convert larger outdoor fountains to solar, to create new water features, or to create simple fountain effects and enhance water circulation in ponds. 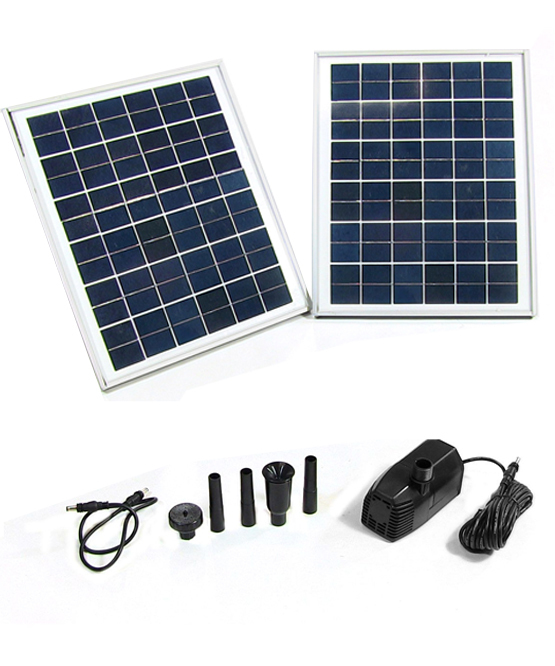 This model is an economic alternative to our 20 watt solar pump kit with batteries; however, this model will only work in direct sunshine. This pump has dry-run protection, meaning that it senses when the water is too low for the pump to function. The pump shuts itself off, preventing it from running without water, which can cause permanent damage by “burning out” the pump’s motor.